Apple cores, Bananas, bruised, Coffee grounds with filters, used. 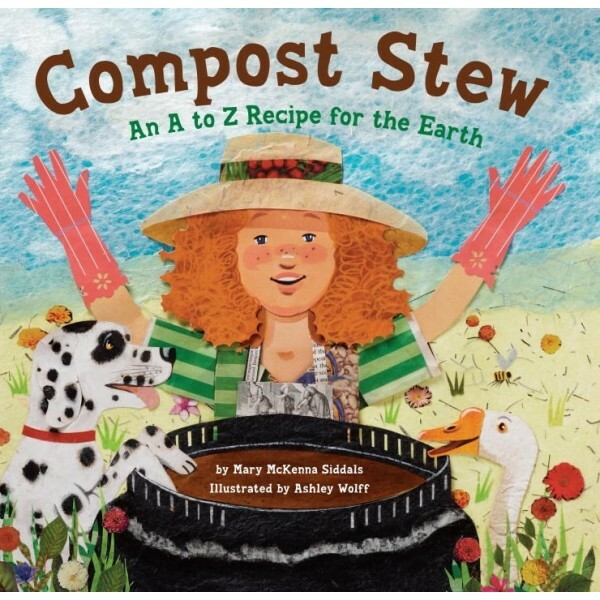 Just add to the pot, and let it all rot into Compost Stew! 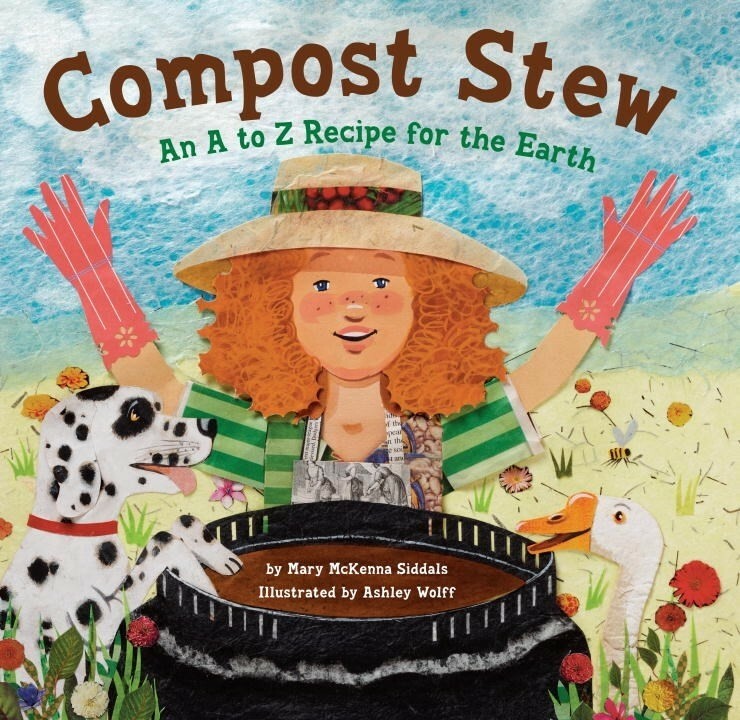 From eggshells to wiggly worms, this delightful recipe in bouncy verse features items--some familiar and some not so--that are fit for the home compost bin and will nourish Mother Earth. Vibrant collage illustrations use recycled and found materials to further a timely message. And to keep young environmental chefs fully informed about composting do's and don'ts, there's a note in the back about what's not fit for the bin.